Histology is the study of the anatomy of cells and tissues of plants and animals using microscopy. It is commonly studied using a light microscope or electron microscope, the specimen having been sectioned, stained, and mounted on a microscope slide. Histological studies may be conducted using tissue culture, where live animal cells are isolated and maintained in an artificial environment for various research projects. The ability to visualize or differentially identify microscopic structures is frequently enhanced through the use of staining. 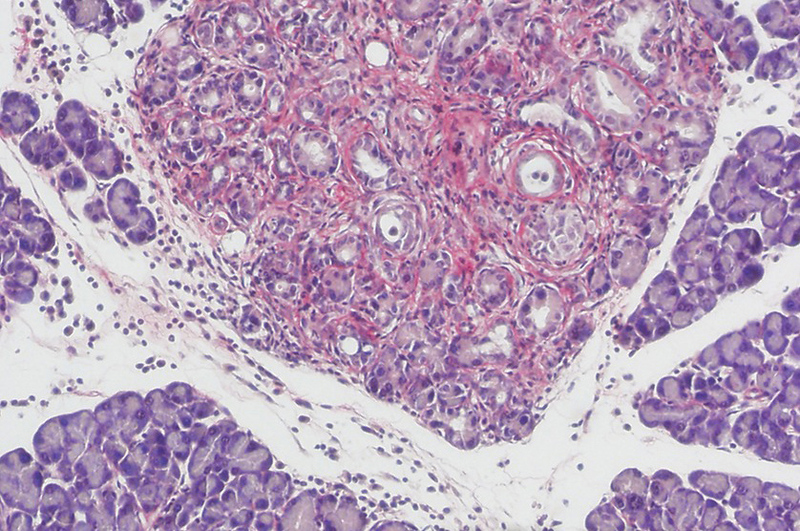 Histology is an essential tool of biology and medicine. Immunohistochemical staining – localization of biomarkers and differentially expressed proteins in different parts of a biological tissue.